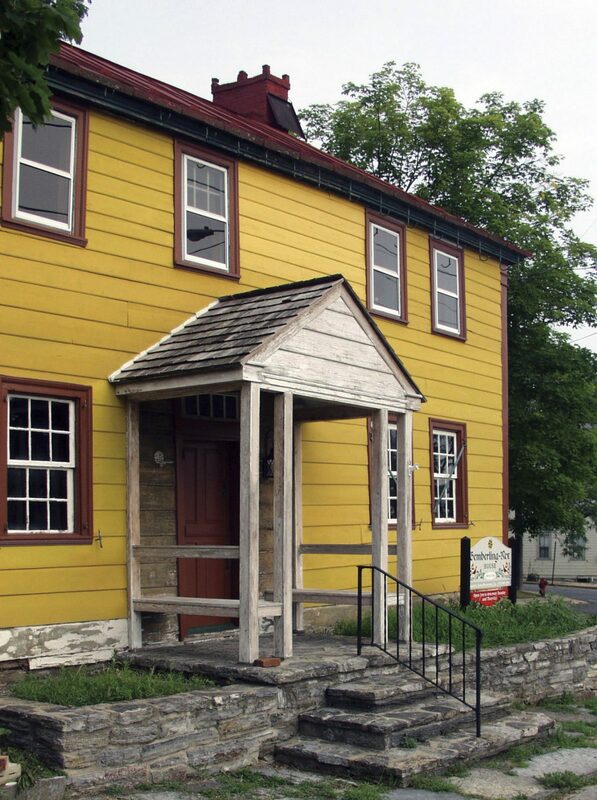 Part of Historic Schaefferstown (HSI), the bright gold painted Gemberling-Rex House was once a vibrant 18th century tavern serving thirsty villagers and travelers. Original features include a bar cage, a Franklin fireplace, and unique kitchen wall stenciling. The museum hosts a special Colonial Tavern Lunch each December, complete with period-dress servers, cider, traditional fare, and all the charm (or lack there of!) that early tavern staff could offer their guests. A memorable event.